Brisbane in July should be have the Christmas feel about it! Don't you think so? With everyone slowing down in this wintery weather why not fire up the furnaces with a function idea of a Christmas in July? Think Christmas Baubles, Mistletoe, Bon Bons, and of course a fantastic christmas dinner and steam pudding! 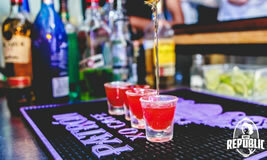 If this sounds enticing and you like unwrapping Christmas gifts then get your work crew into one of these great Brisbane venues and they will assist to bring your plans to fruition this Winter. The imagination just runs wild with ideas for work Christmas in July functions. The traditional green and red trimming and unwrapping the ribbon! 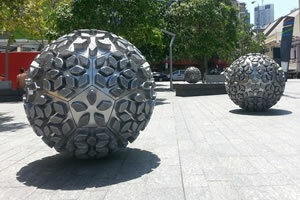 Brisbane will have superb Christmas in July ideas. It's all about joining in for that sumptuous Xmas dining experience! And of course that cha ching of glasses! P.S. Make sure you leave room for pudding! Tinsel in Brisbane in July is sounding super. And a July Christmas celebration is a great idea! Checkout these ideas and contact the venues to discuss how you can enjoy cheerful Santa celebrations this July Winter Christmas! 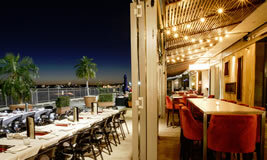 Winter time and gazing over the gorgeous Brisbane River is a treat from Byblos in Brisbane. Why not give your employees a treat with your own Christmas in July or similar with a corporate function at Byblos. Our super staff are ready to listen. Are you looking to treat your staff this July? 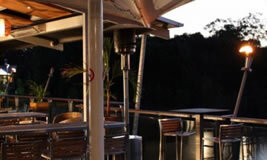 What about one of our boats and a Christmas for all this July on the Brisbane River? Checkout all the options we have for cruising or sailing. It will be like all your Xmases have come at once! 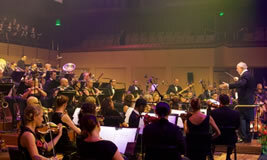 Make sure you checkout all the fab events of the Qld Pops Orchestra and what they have this Winter. If you need a private Christmas in July Brisbane function then Elysium has what it takes. Contact our fab Santa staff to discuss your requirements for your super restaurant. The Christmas Elves will cater for your needs. The nightlife of Brisbane goes off with GPO. It's the perfect venue for you to plan your Christmas in July function. Whether it's work or a private Xmas in July function the GPO will have the bon bons and mistletoe ready. Call the GPO to discuss your perfect Winters Xmas in July function!. 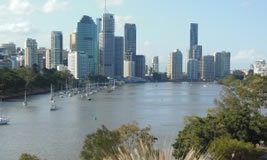 Father's Day is the next Big Day on Brisbane's Calendar after the Xmas in July parties die down witht he close of winter. Make sure you check out all the details of Father's Day events in Brisbane.